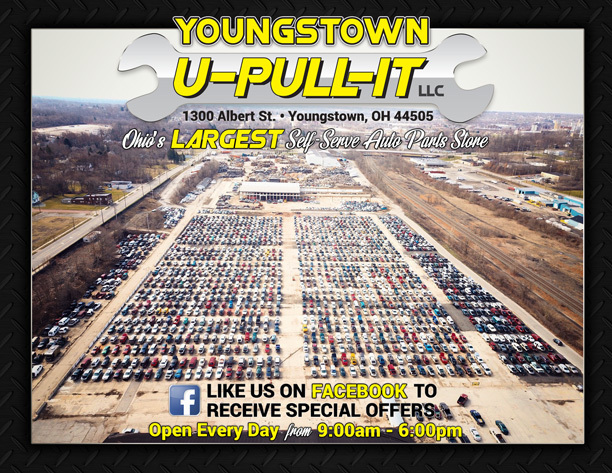 Youngstown U-Pull-It is Ohio's largest self-serve auto parts store. You bring your own tools, pull your own parts and SAVE BIG. We have hundreds of cars and trucks in the yard for you to choose from. All vehicles are organized in the yard and placed on wheel stands for your convenience. We offer FREE Parts Interchange - Just Ask. We pay top dollar for cars & trucks, running or not.